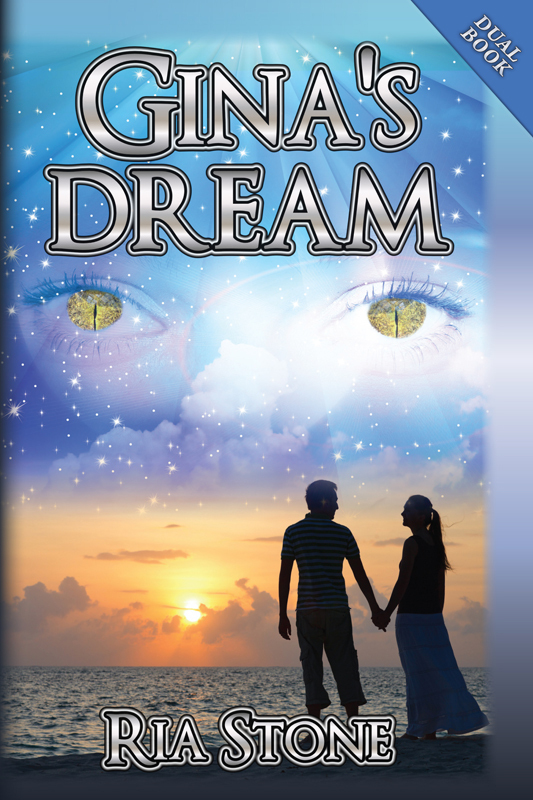 In Gina’s Dream, Kit Brennan, SETA’s (Space Exploration Through Astronomy) assistant director, meets an unusual woman at a convention. She claims she is an alien. What is he to believe? What is he to do? Kit’s co-worker sees her as a threat, first to his friend and then to humans. The co-worker seeks to discover Gina’s secrets to stop her. Meanwhile, Gina has broken the emissaries’ primary rule by telling Kit who she is. But she is here to defend her world from a future invasion by humans. As Gina’s safety is threatened, what will she do to defend herself? Caught between his co-worker’s fears and Gina’s defense, Kit has few choices but to let her follow her dream. What would you do if you met an alien? En El Sueño de Gina, Kit Brennan, asistente del director de SETA, se encuentra con una mujer excepcional en una convención. Ella dice que es un extraterrestre. ¿Qué es lo que creer? ¿Qué ha de hacer? Un compañero de trabajo del Kit la ve como una amenaza, primero a su amigo y luego a los humanos. El compañero de trabajo trata de descubrir los secretos de Gina para detenerla.